Since the time of its promulgation in the year 2016, the Bankruptcy Law has been widely discussed and deliberated on. The enactment of Federal Law Number 9 of 2016 (the New Law) has been critical in light of the volatile oil market across the UAE and the GCC and its impact on the distressed businesses and the financial market in general. Even at the draft stage, the New Law created a lot of interest with commercial businesses and lenders expressing their interest in understanding the effects the New Law will have on securing the interests of local investors, thereby regulating the credit market. Before the enactment of the New Law, the provisions regarding the bankruptcy of traders were contained in Chapter V of the UAE Federal Law Number 18 of 1993 (Commercial Transactions Law). In addition, corresponding bankruptcy related penalizing provisions were set out in the UAE Federal Law Number 3 of 1987 (UAE Penal Code). Upon the enactment of the New Law, Chapter V of the Commercial Transactions Law, as well as provisions on crimes related to bankruptcy under the UAE Penal Code, have been repealed. The offenses and crimes have been combined and set out in Section 6 of the New Law. Another notable change from the old bankruptcy regime is that a debtor’s failure to declare bankruptcy on his inability to pay their debts within 30 days is no longer a criminal offense. Under the earlier regime, due to the risk of a possible imprisonment or a hefty fine, the management of distressed businesses would prefer to opt for absconding from UAE. This change is pivotal in providing breathing space to a business which is facing a financial crunch, but which has had the potential to revive its business with the assistance of its creditors. This Article purports to enumerate in brief the salient features of the New Law which shall assist the interested parties in understanding the manner in which the bankruptcy regime shall be initiated and undertaken. Companies owned wholly or partially by a federal or local government (who expressly submit to the provisions of this law). Importantly, the New Law provides for the introduction of a Financial Restructuring Committee (FRC) which shall be established by the Cabinet of Ministers to oversee the management of restructuring process by financial institutions licensed to facilitate an out-of-court mutual and consensual restructuring arrangement between the debtor and its creditor. Such FRC shall also maintain a list of experts in the matters of restructuring and bankruptcy, and also, maintain a register of persons against whom judgments are delivered under the New Law. While the New Law is silent on the manner of the workings of such FRC, it is anticipated that further regulations shall be released which shall regulate and detail out on the procedures, duties, and roles of the FRC. Preventive Composition[i]: This is solely a debtor-led initiative introduced for the purpose to facilitate a consensual settlement between the debtor and its creditors and restructuring its debts as opposed to filing for bankruptcy. Such debtors, shall not be in default on their debts for more than 30 days. Therefore, any debtor initiating the preventive composition scheme could be in financial distress but yet solvent. Upon receipt of the application for preventive composition from the debtor, the Court may appoint an expert to determine if the debtor can meet the condition for preventive composition. If the request for preventive composition is accepted, a trustee will be appointed by the court who, inter alia, will be instrumental in undertaking the preventive composition process including but not limited to taking inventory of the properties of the Debtor, recording all the creditors and their claim amount, preparing the Preventive Composition Scheme. The scheme shall include terms and conditions of settlement of liability, suspension/termination of the activities of debtors, any moratorium period and payment deduction. Any scheme of composition must be approved by the majority of creditors representing two-thirds of unsecured debts and must be approved by the court. The scheme must be implemented within three years of court approval; this can be extended for an additional three years by obtaining the approval of the majority of creditors. Restructuring and Bankruptcy[ii]: In cases where the debtor is financially insolvent but the business of such debtor can still be salvaged, the court may assist such a debtor by approving a restructuring plan for the business. A debtor may make a request for restructuring process where the debtor ceases to make payment of debts for over 30 days due to financial instability, or any creditor can make a request where the debtor has failed to repay the debt of creditors or the group of creditors holding debt of at least AED 100,000/-, within 30 days from date of notice of discharge of debt by the creditor. The application and manner of execution of the restructuring scheme are similar to those of the prevention scheme, in as much as, it requires the trustee to prepare the restructuring scheme which will require the same 2/3rd creditor approval. The distinction, however, is for the implementation of the restructuring scheme, where implementation is authorized for a longer period of five to eight years (five years that can be extended by three more years). It is pertinent to note that where a protective composition or restructuring scheme is not appropriate, not approved, is terminated, or where a debtor is acting in bad faith to evade their financial obligations, the court will pass a judgment declaring bankruptcy and liquidation of the assets of the debtor. 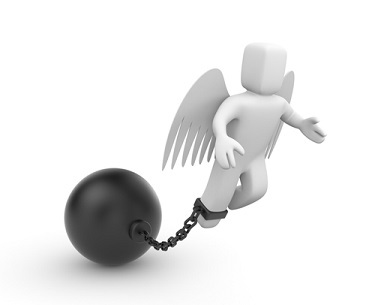 Article 181 of the New Law provides comfort to debtors dealing with financial hardship. Pursuant to this provision, Debtors can request Court, at the time of a preventive composition scheme or restructuring process, to obtain new finance upon the terms laid down under the New Law. Importantly, such new finance, if permitted by the Court, will have priority over any other unsecured debt owed by the debtor. Upon initiation of a preventive composition scheme or restructuring process, any criminal proceedings filed against the debtor for the issue of a dishonored cheque shall be suspended. As a result of such a suspension, the recipient creditor of the cheque shall be included in the list of creditors. As set out herein, the New Law is a mechanism which awards opportunity to distressed businesses and debtors, who need certain breathing opportunity reach settlement with its creditors and continue with the operation of its business. While the New Law primarily provides a safety net and secured approach to debtors for their businesses, the success of a preventive scheme or a restructuring scheme shall be dependent on the approval of the creditors. Therefore, it is essential that the creditors review the preventive composition scheme or the restructuring scheme cautiously and prudently. Although, the right to vote on a scheme is with unsecured creditors, secured creditors have more far-reaching entitlements, in as much as, such secured creditors are entitled to enforce their security interest when the debts fall due even during the pendency of the preventive scheme or restructuring scheme. Further, the secured creditors are also entitled to take action first upon bankruptcy judgment passed by the Court. The legislators have purported to stress the importance of governance of companies and the manner in which the management undertakes its activities. This is evident from the duties and obligations imposed by the management under the terms of the Companies Law, and it is taken further under the terms of the New Law. Regarding article 144 of the New Law, directors/managers who are responsible for the losses to the Company shall be jointly liable for the debts of the company, in the event of bankruptcy, if such assets of the company are insufficient to cover 20% (twenty percent) of its debts. Therefore, it is essential that the management of the company familiarizes itself with its duties and responsibilities under the Commercial Companies Law and also have a thorough understanding of the financial position of the company and monitor any actions taken by shareholders and creditors of the company. There has been a lot of speculation and conjecture on whether the Bankruptcy Law will assist in facilitating a conducive financial market for the investors. While the mechanism has been set in place, much will depend on how the courts implement it. The law is at an early stage, and on account of largely being a court-driven process, it will hinge on the expertise of the experts, trustees, and courts. Moreover, effective implementation of the law will also hinge on the infrastructure. Having said that, the New Law has a more far-reaching impact than the erstwhile regime in terms of providing more flexibility and comfort to distressed businesses. In effect, the New Law gives them an option to rely on it and reach a settlement with its creditors, which in turn will have a more positive impact on the UAE as a conducive financial market for international investors.